Cloudy. High 63F. Winds NNW at 10 to 15 mph..
Cloudy with occasional showers overnight. Low 49F. Winds ENE at 5 to 10 mph. Chance of rain 50%. 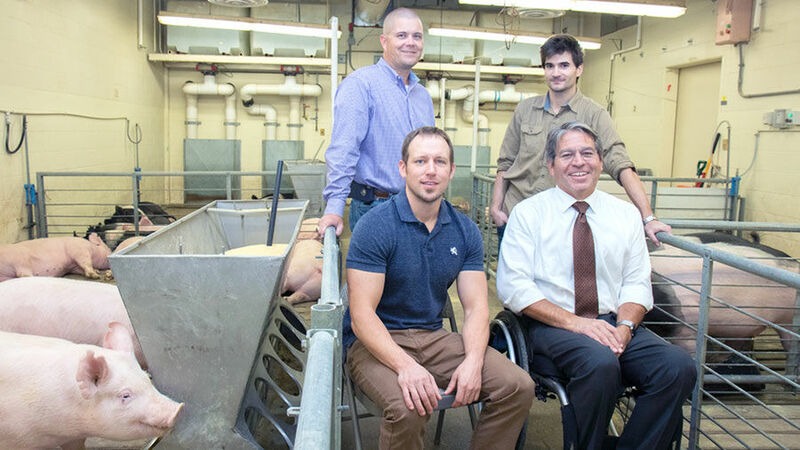 University of Nebraska researchers Ty Schmidt (back left), Mateusz Mittek (back right), Eric Psota (front left) and Lance C. Pérez are working with NUtech Ventures to commercialize their livestock-monitoring technology and make it available to industry. An interdisciplinary team from the University of Nebraska has developed precision technology to help producers continuously monitor animals and use the resulting data to improve animal well-being, according to a university news release. 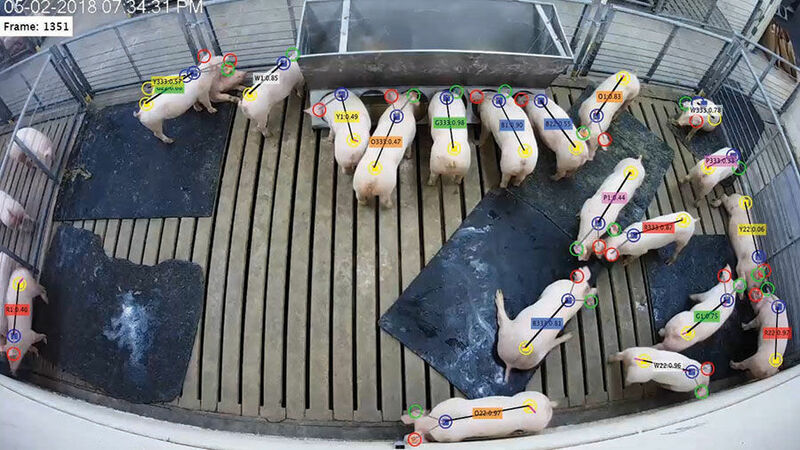 The team includes Nebraska electrical and computer engineers Lance C. Pérez, Eric Psota and Mateusz Mittek and animal scientists Ty Schmidt and Benny Mote, who developed the technology system using video footage of pigs. The team created their system using deep learning networks, a form of machine learning with millions of coefficients and parameters. To identify pigs from all angles, the networks processed images large and small, rotated, skewed and otherwise transformed. The team uses ear tags to help with identification but aims to rely on unique physical characteristics such as ear shape, saving producers the added work of tagging. The second study will explore the lifespan of sows and traits that may be associated with longevity. The Nebraska team’s technology will track sows over time and identify changes in movement, gait patterns and physical activity — data that may yield links between genetic background and longevity. It’s a connection that hasn’t been measured because there hasn’t previously been technology to do it, Schmidt said.